So anyway, I hope you’re all enjoying the heat (stop moaning! We always complain about rubbish summers and now finally we have a good one!) and making the most of your gardens and terraces and local parks. Unfortunately, it’s almost impossible to use a laptop outdoors in this bright light, so I’m shut away in my office, bitter and whiny like a blonde, long-haired gollum. 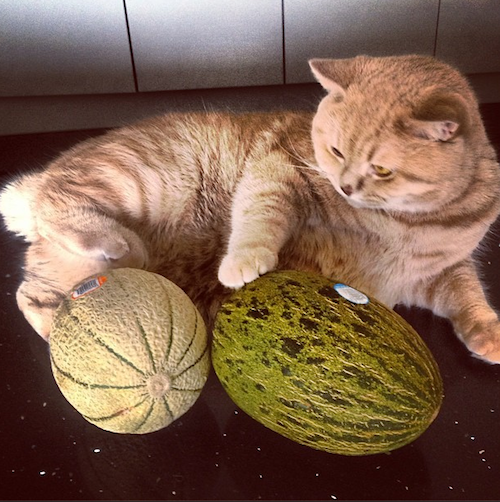 I’ll leave you with that image.. and one of Mr Bear cuddling some melons. Previous Post Daily Fix Subscribers: Some Admin!